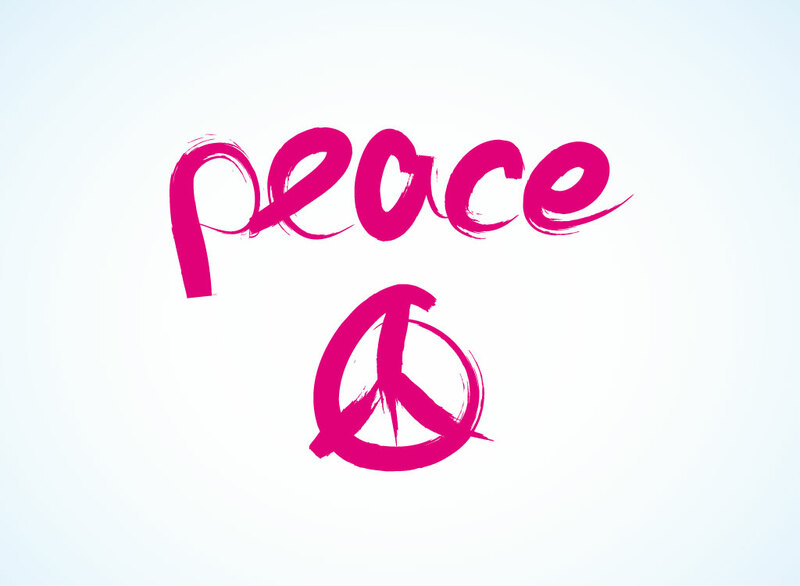 Peace sign vector design featuring the word “Peace” in a paint brush stroke style with a matching peace symbol graphic beneath it. This free download is a finished design for a screen-printed t-shirt, desktop wallpaper or key chain. Add your own custom graphics or message if you want to personalize it. Cool Illustrator footage for pacifism, freedom, unity, tolerance, hippie, flower power, sixties and seventies and occupy movement designs. Tags: 60S, 70S, Anti-War, Hippie, Movement, Pacifism, Paix, Pax, Peace Sign.